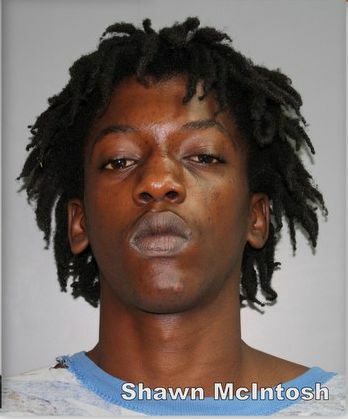 CHRISTIANSTED – A 24-year-old St. Croix man admitted in federal court that he was a criminal in possession of a firearm, according to the U.S. Department of Justice. Shawn McIntosh pleaded guilty in U.S. District Court in Golden Rock today to being a felon in possession of a firearm, U.S. Attorney Ronald Sharpe said. According to the plea agreement filed with the court before U.S. Magistrate Judge George Cannon, police officers encountered McIntosh on July 9, 2016, while searching for another individual at the Hidden Island Bar in St. Croix. Upon observing the police, McIntosh ran and was observing tossing an object, later determined to be a firearm. McIntosh was previously convicted of third-degree burglary in 2012 in the Superior Court of the Virgin Islands. McIntosh faces a maximum of 10 years of incarceration and a maximum fine of $250,000. A sentencing date has been set for May 24, 2017. The case was investigated by the Virgin Islands Police Department and the Federal Bureau of Investigation (FBI). It is being prosecuted by Assistant U.S. Attorney Alphonso Andrews, Jr.